This month, we’ll be reflecting on some Christmas campaigns by some well-known UK brands. In particular, we’ll be taking a look at the end lines these brands have chosen to tie their campaign message together. From feel-good family time to meaningful gift giving, we’ve chosen a few Christmassy commercials to get the snow balls rolling. Our first group of ads fall into the ‘feel good’ category. Whether utilising stars or sprouts, all six focus on bringing together family, friends and loved ones over the festive season. Oh, and sprouts. Don’t forget the sprouts. The school nativity play, a highlight for many families at this time of the year is brought to life by Sainsbury’s in this seasonal Christmas extravaganza. 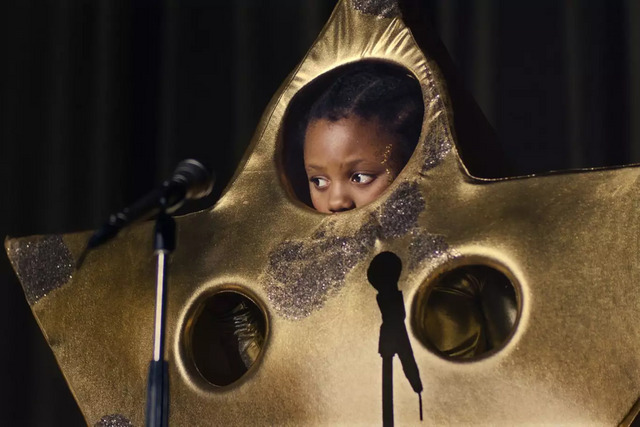 Directed by Michael Gracey (The Greatest Showman) this entertaining film showcases a little girl nervously performing solo on stage before overcoming her nerves and belting out her own version of New Radicals “You Get What You Give” to the delight of her mother sitting in the audience. A feel-good treat that combines humour (plug boy), stunning visual effects and emotional engagement. The Endline: ‘We give all we’ve got to the ones we love’ sums up the heart-warming sentiment of the film and the spirit of Christmas. 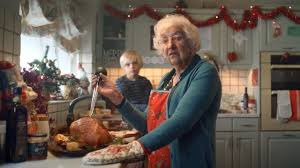 Focusing on the Christmas meal in all its various guises and family set-ups is the theme of this ‘feel-good’ festive spot from Tesco. 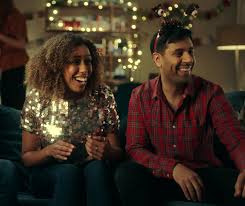 With a familiar message of inclusivity and diversity, it's part of Tesco's series of ads depicting celebratory gatherings amongst friends and family, from going out to staying in, from a full turkey spread to vegan options (but maybe not sprouts!) Set to the soundtrack of Fleetwood Mac’s hit ‘Go Your Own Way’, there’s something on the Christmas table for everyone. The Endline: ‘However you do Christmas, Everyone’s Welcome’ reflects some of the many ways of celebrating Christmas champions an inclusive message. Santa fires a cannon launching a flaming Christmas pudding unleashing an avalanche of Christmas revellers, descending down a snowy mountain. A crowd of dancing skiers, goggle-clad Yetis and cowboys riding Christmas trees, alongside a table full of people tucking in to their Christmas turkey, all hurtle en-mass to bring Christmas home to an excited (and very lucky!) young girl. Set to the classic festive song, 'Christmas (Baby Please Come Home)’, the advert hams up the sense of excitement that comes from people preparing to bring together decorations, food, gifts and loved ones during this hectic time of year. The Endline: “Everything you need to bring Christmas Home” showcases a full range of products and a message of sharing the Christmas feeling. Set in the seaside town of Cromer in Norfolk, this heart-warming film focuses on a teenage boy and his mother struggling to spend quality time together. 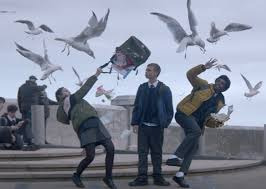 After contrasting the daily life of a busy working mum and her son spending his day alone at the amusement arcade, the film suddenly freezes in time allowing the two to get together and spend a carefree magical day reconnecting. With atmospheric shots of the beach, pier and Christmas lights the film takes us on a journey of togetherness depicting the joy of spending time with those we love away from the distractions of everyday life. The original music for the film is Emmy the Great’s Lost in You. The Endline: ‘Christmas Time Together’ a reminder that the festive period is a time to slow down, take time out from our busy lives and spend time with the people we are close to. When does Christmas start for you? This light-hearted campaign explores when that festive fever kicks in, is it when you start listening to festive songs, when you taste your first mince pie, or watch your favourite film? Whenever it starts for you, this advert demonstrates there is an abundance of food to share with family and friends during those moments. The Co-op’s local community fund forms part of the campaign with donations to various local causes helping to bring communities together. The Endline: ‘Christmas is better together’ follows on from a series of themed adverts to demonstrate the Co-op’s community spirit message ‘better together’. Heathrow’s lovable mascots, Doris and Edward Bair return. This time, we find the happy couple enjoying a comfortable retirement in Florida but after suffering a bout of Christmas homesickness, the bears decide they can ‘bear’ it no longer and head home to the UK to surprise their family. 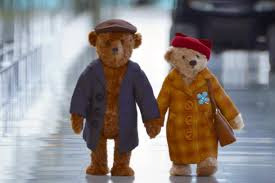 With memories of cosy fires and stockings hung, to the grandchildren playing, the bears pack up and embark on their journey to London, accompanied by Paul Young’s ‘Everytime You Go Away’. We see the bears sharing a kiss under the mistletoe on the plane before they walk through Heathrow airport holding hands, where their love story began. On arrival, the pair are seen choosing gifts for their loved ones in delightful anticipation of a glorious welcome home to the family. The Endline: ‘Making it home, makes it Christmas’ captures the sentiment of the many journeys home for the festive season where distance is forgotten amidst the gift of ‘coming home’. Sainsbury's has brought together schoolchildren from across the UK for an epic of contemporary school nativity/musical theatre in its big Christmas spot.